Well you just knew I'd have to follow up last week's post with the things I'm going to say yes to, right? It's easy to make goals and resolutions in the new year about all the things you don't want to do, all the things you need to change. It can be a pretty negative looking list. Not that it's not necessary or full of great goals, it's just that it needs to be balanced with the good stuff. What are you going to add in to take the place of the bad habits you're going to quit? What are you giving yourself to look forward to in 2019, or pushing yourself to do more of? 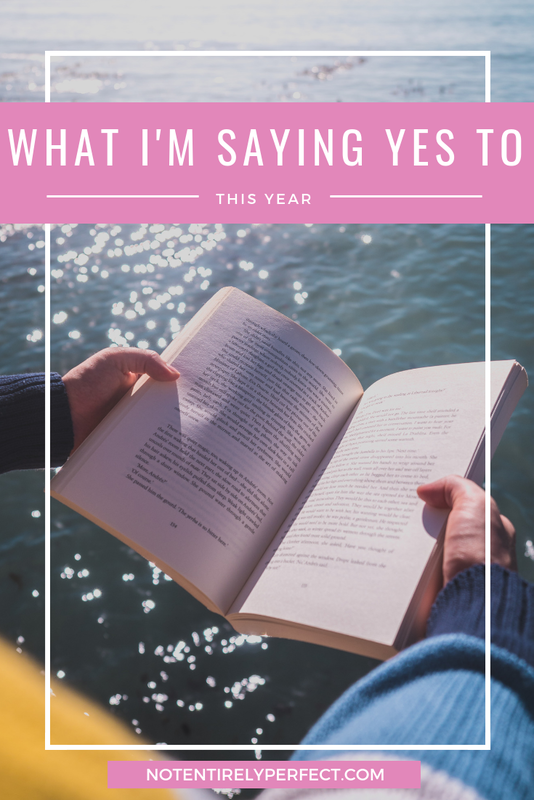 Have you made yourself a yes list yet to go with the no list? What's on yours?